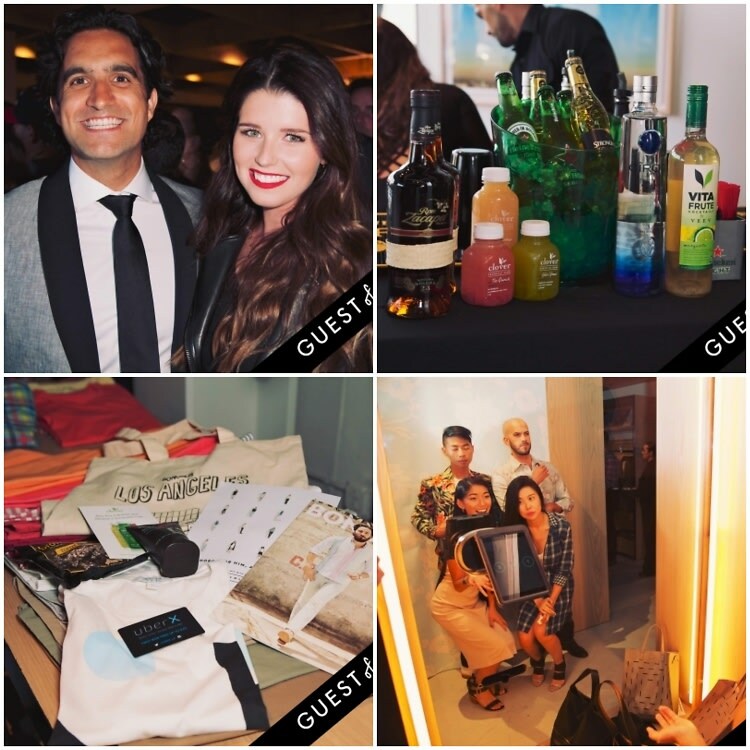 On Thursday evening, Bonobos Guideshop hosted a party in honor of the arrival of their store in LA at 101 S. La Brea Ave. The flocks of invite-only guests nibbled on Sugarfish sushi and sipped refreshments from Heineken, Ciroc, Zacapa Rum, AQUAhydrate and Cloverjuice while relishing their private preview of the newest store, which officially opens Friday, June 27th. The exclusive crowd listened to DJ Michelle Pesce's beats and further celebrated by taking snaps of themselves in front of the trendiest new equipment: a SELFY mirror, a full length mirror to serve as the perfect selfie spot. The guest list was comprised of Bonobos CEO and Founder, Andy Dunn, who hosted the party and brought out the likes of Katherine Schwarzenegger, Xavier Samuel, Austin Stowell, Julie Rapaport, and Michael Kives amongst others. At the end of the night, no one left empty handed, rather; every guest departed with custom Bonobos tote bags with items from Every Man Jack, Uber, AYR, and Brownie Brittle.